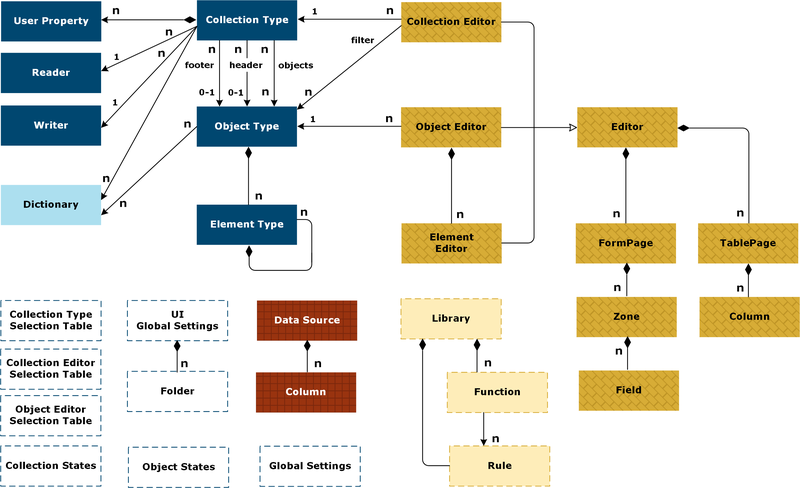 The figure below presents the configuration objects that are related to the data model. 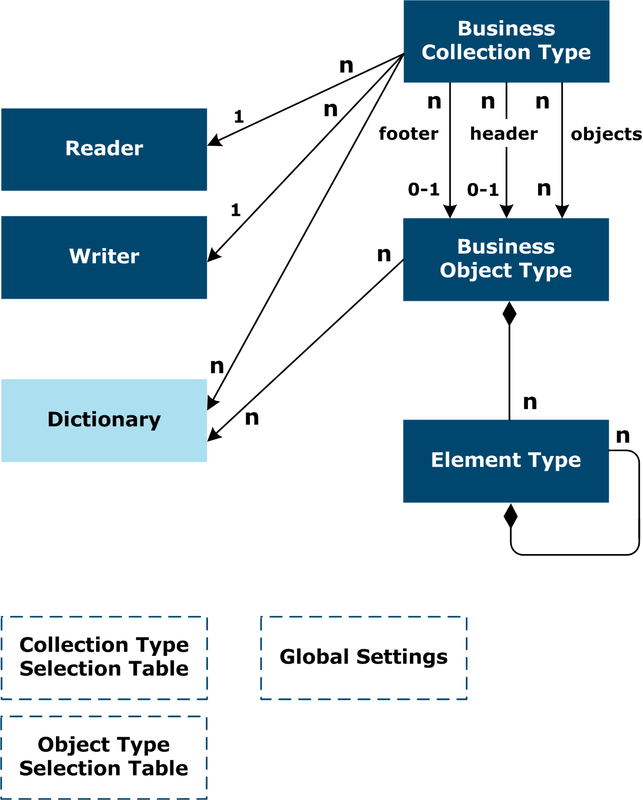 "About Collection Types" in the AI Suite Administrator Guide. "About Object Types" in the AI Suite Administrator Guide. Editor configuration to enable editing of the Objects: Editors and associated objects. See "About Editors" in the AI Suite Administrator Guide. Dictionaries that define the localized labels that will be displayed in the Datastore / InterPlay user interface. See "About Dictionaries" in the AI Suite Administrator Guide. Libraries that define functions and rules. Functions that declare custom behavior are called when executing various tasks such as collecting possible values, controlling values, and so on. Functions are implemented using either exits or rules. Exits (or "callbacks") are written in Java and must be registered in the Datastore / InterPlay application. Rules are "If conditions Then actions Else actions" statements that are defined in Libraries and that can be called in functions. See "About Functions" in the AI Suite Administrator Guide. Datasources to use when data originates from databases or internal tables. See "About Datasources" in the AI Suite Administrator Guide. Global settings. See "About Global Settings" in the AI Suite Administrator Guide. The configuration editor is implemented via InterPlay and configuration objects are handled as Objects.